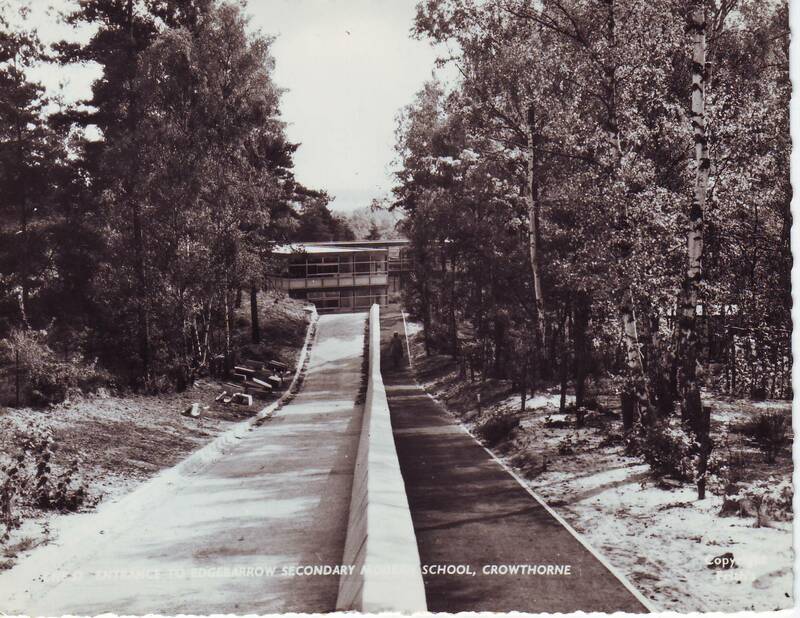 The name of the school is misspelt on the card – it should be Edgbarrow (no “e” in the middle). The school is now known simply as Edgbarrow School, and is a Business & Enterprise College. The trees have grown a lot, but the school (and this building) are still there. Even the concrete blocks separating the footpath from the road are, for the most part, still in position. 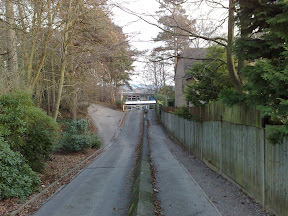 The road going off to the left leads to the scout hut and sixth form centre. The fence on the right is where houses were built in (I think) the early 90s.